Located in Hamilton City, Barracuda Grill is a sophisticated seafood restaurant with great contemporary style and design. Years back, this restaurant was known as the Fisherman’s Reef. In 2002, it was completely redesigned with mahogany furnishings, designer lamps hanging from the ceilings, and sitting areas with etched glass partitions. 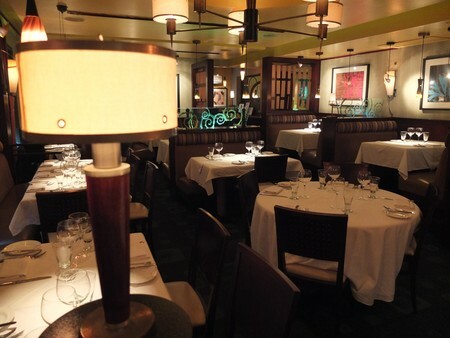 This upscale modern seafood restaurant was then renamed as Barracuda Grill. Since then it has won several awards. 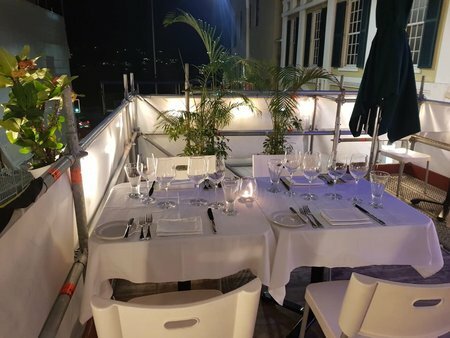 The restaurant is part of the Island Restaurant Group which owns several other great restaurants like Pickled Onion, Hog Penny, Victoria Grill, Frog & Onion etc. Barracuda Grill with its two dining rooms one floor above the street level is great for both couples and families. If you are planning for a romantic dinner in this restaurant, then choose the 'snug corner' that has table for two and is tucked away in a private corner. While you wait for your turn to get a table, you can try the stylish cocktail bar at the restaurant. The bar has an amber color resin top and is lit from beneath to create a nice lighting effect. There are good selections of wine which you can have by glass. Other than the regular drinks, you also get some great innovative cocktails like Bermuda Bellini. We would normally start with our favorite island style fish chowder soup. The Grilled Caesar salad is also excellent. There are quite a few great entrees to choose from. Here are some that we think are the best in the restaurant and normally like to select one of these. Seafood: They use fresh fish and the menu can change sometimes depending on what they get from the local fishermen on the day. Here are some of our favorite dishes: Grilled Wahoo, Pan Seared Bermuda rockfish, Lobster Fettucini and Grilled Wild Salmon Filet and Grilled Local Yellowfin Tuna. Others: Kobe Beef and Foie Grass Burger - this is one of the most expensive and exclusive dishes in the restaurant, Lamb Rack and Leg Duo - great roasted lamb racks, Niman ranch pork chop, and French cut chicken breast. You get some nice dessert choices as well: Chocolate Fondue, Ginger Bread Toffee Pudding, Chocolate Banana Bread and Bailey's Ice Creams. They accept credit cards. Reservations recommended and to be done over phone. Dress code is smart. 5 Burnaby Hill, City of Hamilton (Pembroke Parish). 4) Check out Explore Hamilton City and Pembroke Parish to know about the City of Hamilton and its parish including all its attractions, activities, hotels and other information.